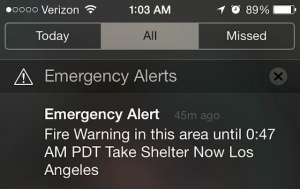 This story from LAist.com illustrates the danger of mistakes in the use of IPAWS and the Wireless Emergency Alert system. 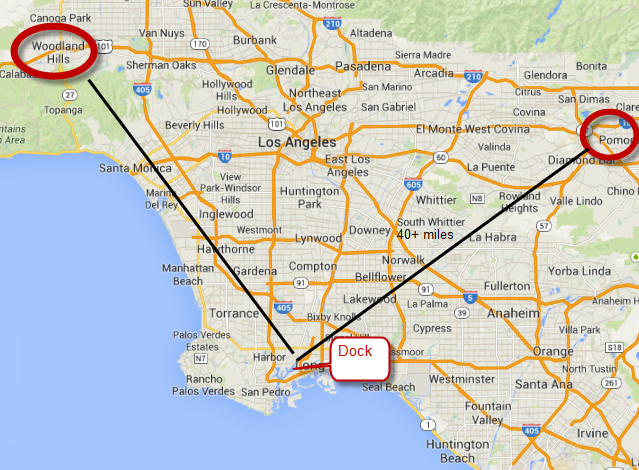 In late September, the LAPD sent out a WEA alert warning about about a dock fire at the port of LA (see photo from Reddit). But the WEA alert went out to residents as far as 40 miles away. To make matters worse – according to the article – the alert went out at around midnight, three hours after the fire was mostly contained. Which means it wasn’t relevant, wasn’t useful and was seriously irritating to many of the people who received it. Mistakes like this are going to cause people to turn off WEA alerts on their phone. It’s a simple process, if you know how, to turn off all alerts except those from the President. Confusion with other alert systems will result in resistance to enrolling in those. If you read a story like this, how likely are you to want to sign up for other public safety alerts? 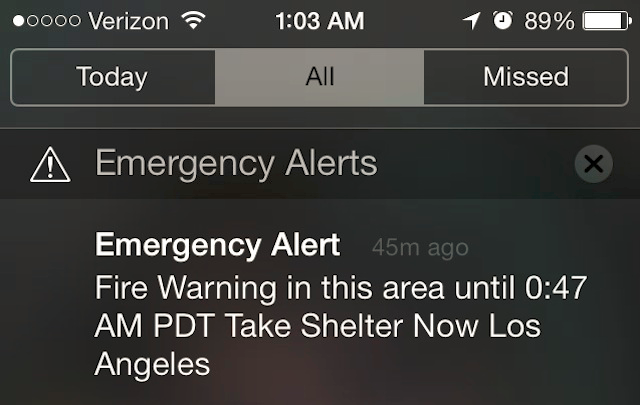 The resulting PR blow back may inhibit future emergency alerts from being sent. Which could endanger the public further. Avoid the cryptic messaging. 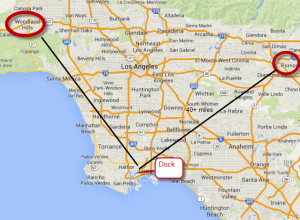 Instead of “in this area”, use “within x miles of the Port of LA”. Replace “Take Shelter Now” with “stay indoors to avoid toxic fumes”. Use two messages. WEA messaging is limited to 90 characters, which helps explain the cryptic text. But authorities can send multiple messages that provide the needed detail. And we’d bet that two messages with meaningful information would be better received than one message that’s indecipherable. Devise “best practices” for WEA messaging in advance. Writing a message on the fly at midnight risks an ill-conceived text. Use a good interface. The LAist article suggests that the group selected was chosen deliberately. Maybe… But we’d bet that a good interface that made it easy to select a smaller area might have helped limit who got woken up at midnight. We’re glad that local officials are using the WEA system for alerting, since it gets around the problem that emergency alert systems are confronting due to lack of wireline listings to call. But it’s important to get this right. PreviousAre You Ready for Zombie Preparedness Month? NextTo Follow Up or Not? What’s Best Practice in Emergency Alerts?